How the Divorce Process Works: Which Way Should You Get Divorced? Anyone facing a divorce has probably heard the term “divorce process” thrown around. But, they might not be 100% sure what the term “divorce process” really means. That’s not surprising. The term “divorce process” means different things to different people. To most ordinary humans, a”divorce process” means “the way you get through a divorce.” In other words, it means the papers you file, the way you work your way through the court system, etc., etc. To a divorce professional, however, the term “divorce process,” means “the process by which you get divorced.” Sounds the same, right? … but it’s not. That’s why the term is so confusing. The best way to understand what a “divorce process” is, and how the divorce process works, is to start by taking a look at what all the different “divorce processes” are today. In the past, the only divorce process that existed was litigation. If you wanted to get divorced you had to take your case to court. Period. Today, there are at least five different divorce processes you can use to get divorced. There are also two ways to get divorced that aren’t truly “divorce processes” but are worth mentioning because everyone thinks they are divorce processes. 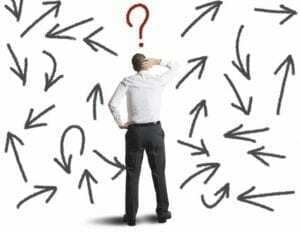 Here is a quick summary of what your divorce process choices are (and are not!). Divorce litigation is the traditional way of getting divorced. Divorce litigation starts when one person files for divorce and has their spouse served with papers. That spouse then files an appearance in court (with or without a lawyer) and the court process begins. The person who filed for divorce may also immediately file for temporary relief. S/he may ask the court to grant him/her temporary spousal support, custody, or child support. Filing motions for any of these things usually immediately throws the divorcing couple into battle. After the divorce papers are filed, the “discovery” process begins. Discovery is a formal process in which each divorcing person files interrogatories, document production requests, and other requests for information on his/her spouse. The spouse does the same. Both parties (and often third parties) then have to answer all of these requests. While discovery is going on, the parties may end up fighting in court over any one of a number of different issues. Eventually, the judge will hold a pretrial conference to try to settle the case. If that doesn’t work, the case will go to trial. At trial, the judge hears testimony and receives evidence from both parties. The judge then decides all issues in the case. Mediation is a divorce process in which a trained, independent, neutral mediator helps a divorcing couple to resolve their issues outside of court. Just as in litigation, mediation usually begins with information gathering. Unlike in litigation, however, in mediation the parties voluntarily produce financial and other information to the mediator. There is no formal “discovery” process in mediation. After the mediator has all of the necessary information s/he will then help the divorcing couple resolve their issues themselves. The mediator will help the couple communicate with each other. The mediator will also help the couple brainstorm creative settlement options. However, because the mediator must remain neutral, s/he can not give either party legal advice even if s/he is also a lawyer. If issues, like temporary support, arise during the mediation process the couple can resolve those issues in a mediation session, rather than filing motions in court. Once the couple settles their issues, the mediator will then write up the couple’s settlement terms into a written agreement. That agreement forms the basis for couple’s final divorce documents. The couple then has to go to court and get the judge to sign off on their divorce documents and grant them a divorce. Collaborative Divorce is a process in which a divorcing couple, their lawyers, and other divorce professionals, work together to resolve all of the couple’s divorce issues outside of court. 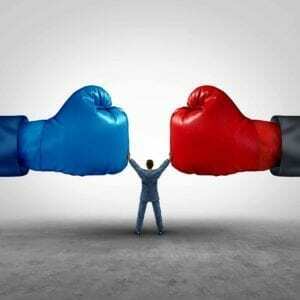 Like mediation, Collaborative Divorce is a voluntary alternative to fighting in court. Collaborative Divorce often takes a “team” approach to divorce. Most often, the couple and their lawyers hire one or two divorce coaches, a child specialist (if necessary) and a neutral divorce financial planner to help them negotiate their case. The hallmark of Collaborative Divorce is the attorney withdrawal provision. If a couple fails to settle their issues in the Collaborative Process, then all of the divorce professionals, including the attorneys, must withdraw from the case. That means that if the couple ends up in litigation, they must start all over again with different professionals. The Collaborative Divorce process starts with a meeting during which the divorcing couple and the other divorce professionals all sign a written agreement laying out the “rules” that will govern their divorce process and their negotiations. The parties then talk about their needs and interests. As in every other divorce process, the divorcing couple also goes through an information-gathering phase in their divorce. Once they have all of their financial information, the couple, with the help of the divorce professionals, negotiates their issues. The lawyers then draft up the necessary divorce documents. The couple and their lawyers then go to court and the judge enters their divorce. Direct negotiation, or co-operative divorce, has many names and can take many forms. Unlike Collaborative Divorce, which follows a very specific, established process, “co-operative divorce” has no single set process. For that reason, some professionals don’t acknowledge co-operative divorce as a real divorce process. Yet, people use it all the time. In its simplest form in a “co-operative divorce,” a husband and wife sit down and talk. They negotiate directly and settle their issues themselves. They then either get a lawyer to draft their agreements into formal court documents, or they get their documents done online. No matter how they finally resolve their issues, once they reach a settlement, the couple has formal court documents are written up. The couple then goes to court and gets divorced. Divorce arbitration is an informal hearing process that is very similar to litigation. The main differences are that arbitrations are handled outside of court by an arbitrator, instead of a judge. Arbitration is different from mediation. In mediation, the mediator helps the couple resolve their own issues. If the couple can’t resolve their issues, the mediation fails, and the couple goes back to court. The mediator can not order the couple to do, or not do, anything. In arbitration, the couple gives an arbitrator the power to make the decisions in their divorce for them. The arbitrator is therefore much like a private judge. If the couple goes all the way through arbitration, they are no longer settling their own divorce. The arbitrator decides their divorce issues for them. Arbitrations are much like trials, and are governed by very specific rules. The parties to a divorce choose their own arbitrator and have to agree on the rules of the arbitration before they proceed. For that reason, arbitration is not used in divorce very often. Couples normally either can’t agree on the arbitrator, or they can’t agree on the rules, or they don’t want to pay the arbitrator when going to court is free. After the arbitrator enters his/her arbitration award, the couple still has to go to court and present the award to the judge. The judge usually approves the award and then grants the couple a divorce. Lots of people think that they can go online and get a divorce. They can’t. The only person who can divorce you is a judge. In most states that means that someone (you, your spouse, and/or the lawyers) always has to go to court. 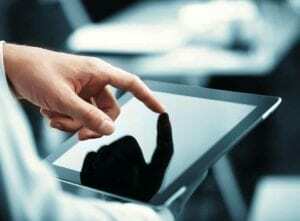 What “online divorce” usually refers to is online document production. Instead of paying a lawyer to draw up your court documents, you go online, pay the online document production service, answer some questions, and your documents are produced for you. Having a computer program produce your divorce documents is almost always cheaper than having a lawyer draft them. But, you get what you pay for. No matter who drafts your documents, though, someone still has to file those documents in court and have a judge approve of them in order to finalize your divorce. DIY (Do It Yourself) divorce, like online divorce, is not a specific divorce process. It simply means that you are going through your divorce without a lawyer. You can also do a DIY divorce, but consult with a lawyer on the side for guidance. Again, that’s not a great idea in every case. But in cases where you don’t have a lot to fight about, you can do it. Plus, it’s always better to talk to a lawyer and know your legal rights and responsibilities before you settle your divorce on terms that may be ill-advised. Obviously, doing your divorce yourself is cheaper than using a lawyer. But, unless you have a very simple case (i.e. no money, no children, no property and a short marriage), doing your own divorce can cause you a boatload of problems later. Also, to do your own divorce, you have to be willing and able to learn enough about the law and the courts to be able to navigate the system on your own. So, you may save money, but the trade- off is you will spend more time on your divorce than someone who has a lawyer. The best divorce process for you is generally the one that can get you through your divorce with the least amount of time, energy, expense and destruction. That having been said, figuring out which divorce process will do that for you is not always easy. Litigation is the default divorce process. If you and your spouse can’t agree on which divorce process to use, you will litigate your divorce. Every other process is voluntary. Litigation is usually going to be the best choice in domestic violence cases. Most high conflict divorce cases are going to end up in litigation, whether that’s best for them or not. But, for everyone else, using any of the other divorce processes is often going to be better. Divorce mediation is a cheaper, faster, and more private way to divorce than going through litigation. It’s usually the best way to resolve a divorce when the parties want to be amicable, but just can’t negotiate their issues themselves. Unfortunately, it doesn’t work for everyone. Because mediation is a voluntary process, not everyone will agree to go to mediation. 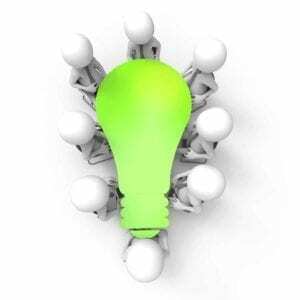 If a court orders you to go to mediation (which a lot of courts will now do) the mediation process still won’t work unless both people participate in it in good faith. If someone is purposely hiding information, or refuses to participate honestly in mediation, it won’t work. Collaborative Divorce is the most supported way to go through a divorce. It is particularly effective in cases where a couple has complicated finances, or difficult issues to resolve regarding their children. It works best when couples still respect each other and want to resolve their issues amicably. Because meetings are held in conference rooms rather than court rooms, Collaborative Divorce, like the other court-alternatives, is a more private way to divorce. It also provides couples with much more flexibility and control in their divorce. Collaborative Divorce is cheaper than full-on litigation. However, it is not the most inexpensive way to get a divorce. It usually won’t be the best choice for couples who have no money. Negotiating directly with your spouse is always going to be the cheapest way to get divorced. It’s also the easiest way to make mistakes or get taken advantage of. If there is a power imbalance in your relationship, negotiating directly with your spouse won’t work. The same thing is true if you or your spouse doesn’t understand finances. 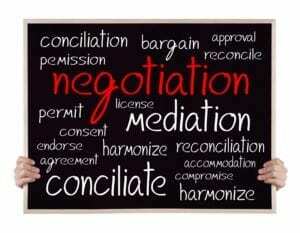 Getting lawyers to help you negotiate your divorce amicably can work amazingly well. But you have to have the right lawyers! You need lawyers who will work with you to negotiate a settlement, rather than fight in court. Hiring the wrong lawyers can turn your “co-operative divorce” into all out war. If you’re going to use “Co-operative divorce” you’ve also got to realize that it is a very unstructured process. Different lawyers will interpret what it means to be “cooperative” very differently. Because of that, co-operative divorce can end up becoming an all out war, even when that’s not what you intended. It can end up taking just as long and costing just as much as a traditional divorce. On the other hand, if you and your lawyers can really focus on negotiating rather than on fighting, cooperative divorce can work well. The biggest downside of arbitration is that it is not available in most places. Very few divorce lawyers are trained as arbitrators. Because divorce arbitration is not widely used, most divorce lawyers are skeptical of it, and won’t use it. The biggest upside of arbitration is that it can be used to settle either your entire case, or a piece of your case. So, if you have one big issue in your divorce that, if you could just settle that, everything else would fall into place, arbitration could be a great option for you. Divorce arbitration is also cheaper, more flexible and more private than going to court. 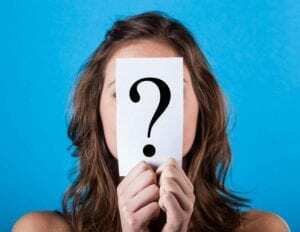 Which Divorce Process Will Be Best for You? 1.Was there physical or emotional abuse in your marriage? If so, trying to mediate, or get divorced without a lawyer can be dangerous. 2. 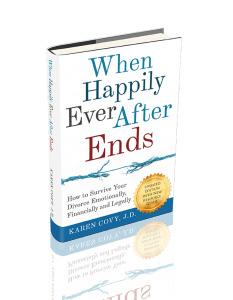 Do you have a long term marriage or a complicated financial situation? If so, you definitely need a lawyer, but might benefit a lot from collaborative divorce, or mediation with an experienced mediator. 3. Do you have special needs children? Or, are you worried that your kids won’t adapt well to your divorce? If so, collaborative divorce can provide you with access to a specially-trained child specialist who can help you get through your divorce in the way that twill do the least damage to your kids. 4. Are you and your spouse both willing to voluntarily provide accurate and complete financial information? If not, litigation may be your only option – unless you don’t mind getting cheated. 5. Are you completely lost when it comes to your finances? If so, collaborative divorce can help you a lot. In Collaborative Divorce you will have the benefit of having a divorce financial planner to guide you through your financial issues. This extra expertise can help a lot if finances aren’t your thing. Need Help Choosing the Right Divorce Process? Knowing how to choose the divorce process that will work best for you is not always easy. To get a simple chart to help you compare the divorce processes, click on the link below. My husband filed a counterclaim and we are going through equitable distribution at this time. What exactly is counterclaim? 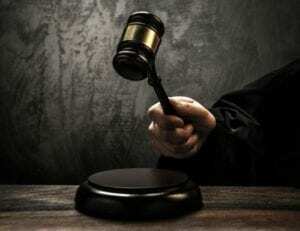 My attorney said it gives my husband the right to go before a judge if we can’t resolve equitable distribution ….she said it wasn’t a big deal and it was a good thing. Do we have to resolve equitable distribution before the divorce signing or are they considered separately? What is the best way? As for whether your property division can be resolved separately from your divorce, that’s a question for your lawyer, too. (Sorry!) I could give you the answer in Illinois, but that won’t help you in NC. I was in prison several of the 18 years I have been married to what I’ve come to learn is a drug addicted prostitute who gave birth to 5 children I am quite certain are not mine but were given my last name and Child support enforcement continues to fine me. My estranged wife lives in Virginia somewhere and I have started a new life with a woman who I wish to marry in Washington state. She purposely avoids my attempts to locate her so I can request a divorce and dna testing on all the kids. Can you help me with advise. Wow! That’s a tough one. The best thing you can do is find and hire a really good divorce lawyer in Virginia. You could also try to find a private investigator or process server in Virginia. They can then try to find your wife. But, since you’re going to need a lawyer to file all the documents and pursue this for you anyway, it might make more sense to find a lawyer who can handle this situation and let him/her handle it. The attorney should have a private investigator that s/he uses to find people. Of course, if you can find your wife on your own, so much the better. But that will mean that either you hire a private investigator yourself, or you go down there and look for her on your own (which I don’t recommend!). Also, if your wife is getting child support checks, presumably they are being sent somewhere. So there has to be a way to find her.